Pencils Books and Dirty Looks: Hop Along the Hippity Blog Hop for Freebies and a Giveaway! Hop Along the Hippity Blog Hop for Freebies and a Giveaway! 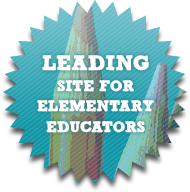 Welcome to the Hippity Blog Hop hosted by Learning with Mrs. Leeby! I'm stop number 6! 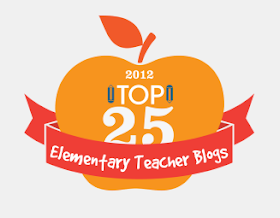 A great big thank you to Khrys from Keepin' It Kool in KinderLand for directing you to my blog! I hope you enjoyed her blog and her freebie. I have a little freebie for you as well! 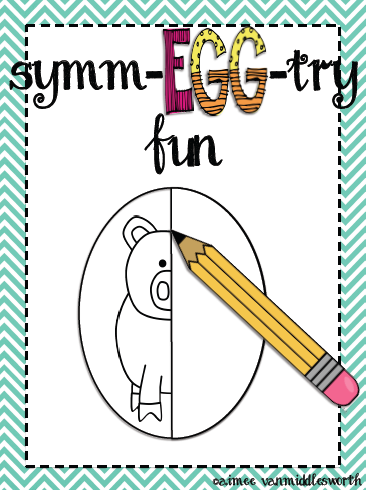 We've been talking about symmetry in my classroom so I made a fun activity for students to do during math workstations. It's called Symm-EGG-try Fun! Students work on symmetry by drawing the other half of the picture. Click on the picture to download your freebie!! Now head on over to Cindy at Granny Goes to School for stop number 7. She has a freebie waiting for you! 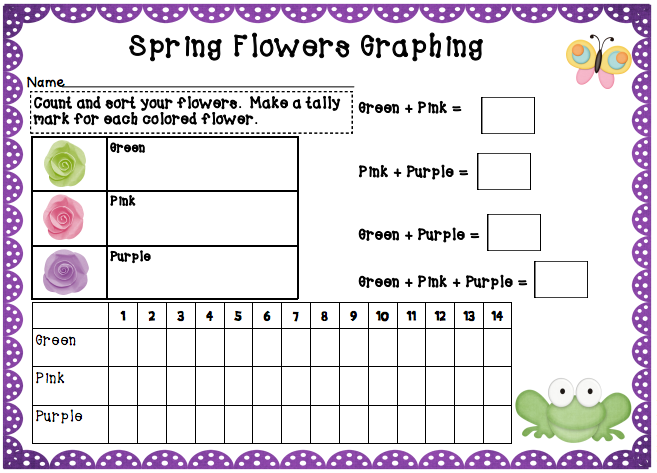 It's her Spring Flowers Graphing (soooo cute!!). Also, don't forget to enter the giveaway at Learning with Mrs. Leeby. She is giving away a $25 TpT gift card and items from each blogger participating in the Hippity Blog Hop! 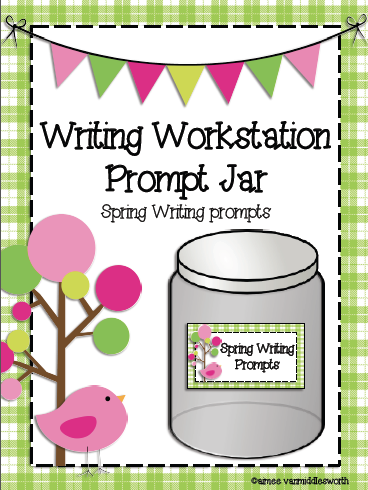 My Writing Workstation Jar for Spring Writing Prompts is part of the giveaway. Aimee- thanks so much for sending followers along the trail and along my way! I just love your "sym-EGG-try freebie. It adorable. I am LOVING this freebie! I seriously need more symmetry sheets and this is perfect! Thank you so much, girl! I am giddy with delight at each stop! I am having so much fun on this blog hopping adventure! It is a pleasure to meet you! Thank you so much for the freebie. I have left TPT feedback and pinned it too! Thanks so much for sharing this freebie! 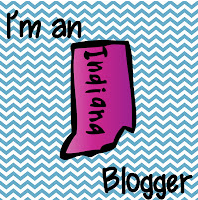 I love the name of your blog....too cute!! The timing for your freebie is perrrrrr-fect! Thanks so much! Thanks to everyone for the wonderful comments!! I'm glad you find my freebie helpful!! Your comments have made my day! Thank you for this wonderful resource! I'm a new follower here and at your store. Thanks! Totally awesome freebie girl! Thanks so much for sharing :) You are a ROCKSTAR! I'm so excited to be a new follower! This goes great with our Math Unit right now! :) Thanks for the freebie! Thank you for the symmetry sheets. My class will love them. I am a new follower.